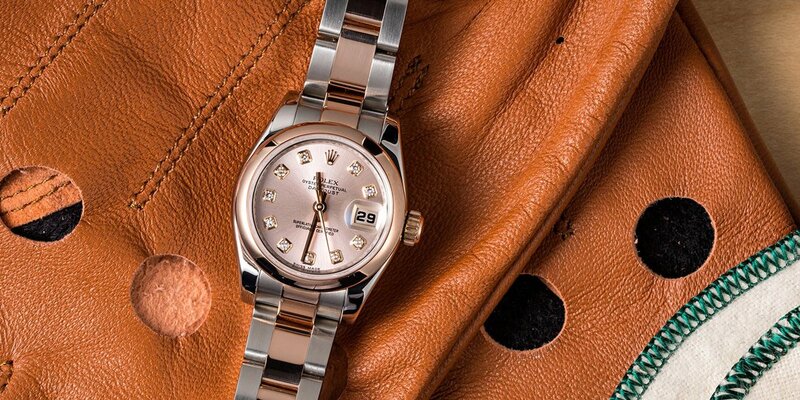 A Rolex is arguably as precious as a diamond. But, you already know that. These elegant timepieces are created from some of the finest materials on earth with a storied tradition that’s evident in every watch they’ve crafted since 1905. Wearing one of these stunning watches has always signaled an inherent style and class — whether you’re sporting a Ladies DateJust, a worldly Submariner or a vintage one-of-a-kind classic. Ladies Rolex watches are very valuable and can be sold. Because you have a Rolex, you can’t bring it to just any jeweler or dealer. Your timepiece needs to be appraised by a seasoned professional who not only understands your watch and its history, but its place in today’s market. At Bob’s, we’ve been entrusted by customers all over the country to buy and sell their luxury Rolex watches. Although a Rolex is an exquisite object to own and wear, many people eventually want to sell one from their collection. Sometimes a timepiece no longer fits your style, holds bad memories, or was just passed down and you have no use for it. Whatever it may be, we understand that parting with such a fine piece of jewelry is not an easy decision to make. So to help you make the best decision, we’ve answered some of your burning questions about selling your timepiece to Bob’s. Keep reading to learn more about our complimentary, no-strings-attached appraisal. Whether you have a cocktail or a sports watch, we will take a look at it. Looking to sell your Ladies Rolex timepiece for the best price? You’ve come to the right place. Bob’s has been trusted by hundreds of thousands of luxury watch owners across the country to provide the best value for their watch. 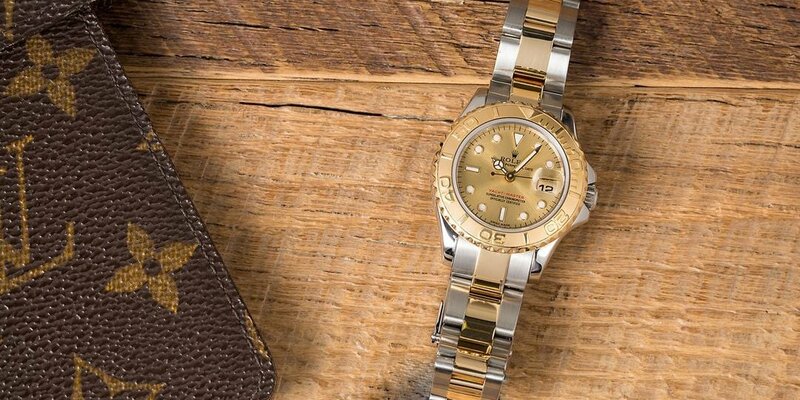 Unlike other watch buyers, Bob’s specializes in Rolex — meaning we understand the market, your timepiece’s value, and the customers looking to purchase it. Plus, when you turn to us, you’ll always get a no-obligation evaluation. Why should you choose Bob’s Watches? Bob’s has made a name for itself in the luxury watch industry by providing customers around the country with exceptional customer service and top-market evaluations. Today, we own and operate a store in Newport Beach, California, but much of our business is online. Bob’s is trusted by luxury watch owners across the United States for our integrity and transparency in our pricing, and has even been awarded a coveted A-rating by the Better Business Bureau. But, that’s not all. To date, we are the only watch dealer out there to publish their ‘buy’ or ‘sell’ prices right on the website for anyone to see — including you. Bob’s Watches publishes our prices to help with transparency. At Bob’s, our goal is to simply be the middleman between the buyers and sellers of Rolex luxury watches — people who no longer need their timepiece and people who want a new one. Every year Rolex sells thousands of new watches, and we understand that owners either grow tired of their investment or could use the money for something else. We pride ourselves on helping people make educated decisions and smart investments. How does selling my Ladies Rolex to Bob’s work? One of the most common questions is from customers who ask, “How do I sell you my Rolex watch from across the country?” We get it. We do this every day, but it’s not every day you sell a luxury watch online. In our quick video below, we explain the simple 5 steps you’ll take to get your watch from appraised to sold. Step 1: Call Bob and get your quote over the phone. Or, submit your watch in the form on this page. Bob will get back to you within 24-hours. Step 2: If you agree to the quote, Bob will send you a prepaid and insured shipping label so you can send it safely to us here in California. Step 3: Securely pack your Rolex in the box and send it back to Bob. Step 4: After receiving your Rolex, Bob will call and give you a free appraisal over the phone. Step 5: Bob sends you a check or wires you the money the very same day. A Yacht-Master makes for a great gift. 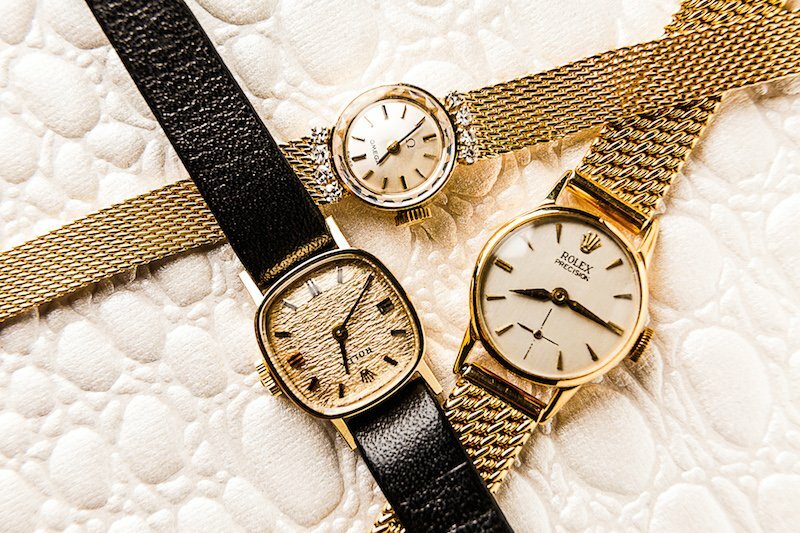 Ready to have your Ladies Rolex watch appraised? 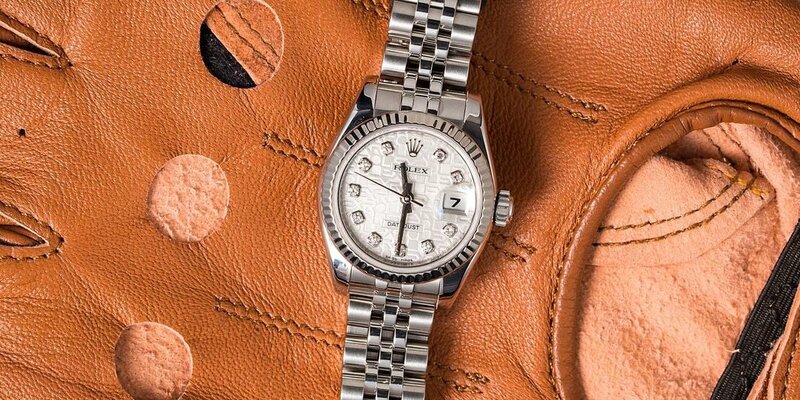 Getting your Rolex watch appraised is fast, simple and always top-market value. Get in touch with Bob’s today for your complimentary, no-obligations appraisal. Getting rid of a watch is a decision people make for many reasons, and often, quite personal ones. It’s not always about upgrading to the fanciest new model, and we get that. Sometimes it’s about getting rid of a painful memory, or to get some much-needed cash. Other times it’s something you’ve inherited and just have no use for. Bob’s been helping clients all over the country part with their timepieces for various reasons. In everything we do at Bob’s, it’s with care. From the transparent pricing noted by Forbes to the respect we show you during your appraisal, and the care in transporting it — your satisfaction is always our number one goal. Get in touch and see what we can offer you today.